Winter Percussion registration is now open. You will find the Parent Letter/Registration Form and Code of Conduct Form below for download. Please complete and return with your student as soon as possible. The calendar for Winter Percussion rehearsals has been added to the FHS Band calendar. There are three ensembles this year: Open Concert, World Concert and World Movement. The payment schedule is listed below. Look for the payment option to be available on the Booster Accounts page in the next week. There will be a parent meeting for Winter Percussion on Thursday, November 13th at 7:00 pm in the orchestra room. This meeting will cover information regarding all of the ensembles, as well as financial, calendar and volunteer opportunities. If you have a student interested in participating in Winter Percussion, please plan to attend this informational meeting. The Fishers Winter Percussion program will be presenting three performance ensembles this season. In its rich history the ensemble will continue to build, develop and enhance our percussionists’ skills, not only as musicians, but as team players. Our students will have the opportunity to learn, practice and master music specifically arranged for them! Fishers Movement – this is the movement ensemble… think marching band without the guard and winds. The objective here it to continue to train and enhance the skills from a rudimental perspective. The battery (snares, tenors, bass drums and cymbals) move around the floor covered by a digital tarp. Their goal is to visually depict the musical story they are portraying. The front ensemble (marimbas, vibes, bells, xylophone, drum set and timpani) will be the front staged ensemble providing the melodic intent. This year’s production is entitled “This Is My Voice” A voice represents more than just sounds or a collection of words. It has the power to bring change to one or many, and it influences our lives everyday. The production begins with the ensemble searching for their voice. Then seamlessly passes musical phrases from one section to another, finally resulting in the realization that they do indeed have a voice. We will also cover the emotions brought upon by the lack of one’s voice in your life; though this melancholy is temporary, as strains of hope and uprising return for the closing segment of this inspiring and emotional show. 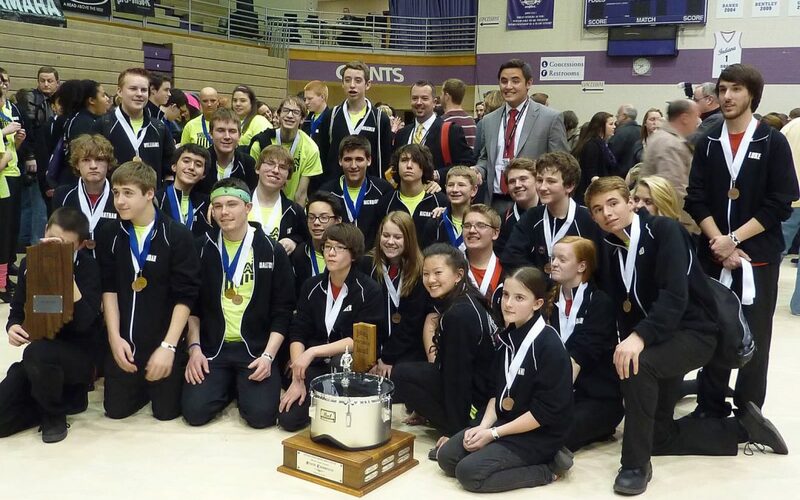 Fishers Concert World – (Advanced concert percussion) Yet again there are some surprises in store for our audience! This year’s production “Zip It” will produce very cool contemporary grooves and high velocity musical runs only to be enhanced by chasing lights, disco balls, “lite” hats and a touch of just plain cool. Fishers Concert Open – (Intermediate concert percussion) Will embark on a musical journey depicted by works entitled dreamers of Dreams and Ad Astra all rolling and folding together in an intense dream-like state allowing the dream to hit upon all emotions! Movement participants can take part in either or both of the Concert groups without having to pay additional fees for participation (i.e. $350 extra for each Concert Ensemble).